Fabulous Floors Michigan offers professional technicians who are certified in all things related to hardwood flooring. We have been servicing floors for several years and know exactly what to do to make your floors look beautiful. Our hardwood floor refinishing services in Rochester, MI help prove our high quality work! We understand that your hardwood floors are an investment. Fabulous Floors wants to help you retain that investment for a long time. We are confident you will love your wood floors. Our technicians only use the highest quality materials and equipment. This means that you are getting a much better value than anywhere else in Rochester, MI. After we sand your floors down to the bare wood, we apply a stain and then an even coat of polyurethane to protect your floors from future dings and gashes. You will be amazed at how your floors will come back to life. Our methods are tried and true! 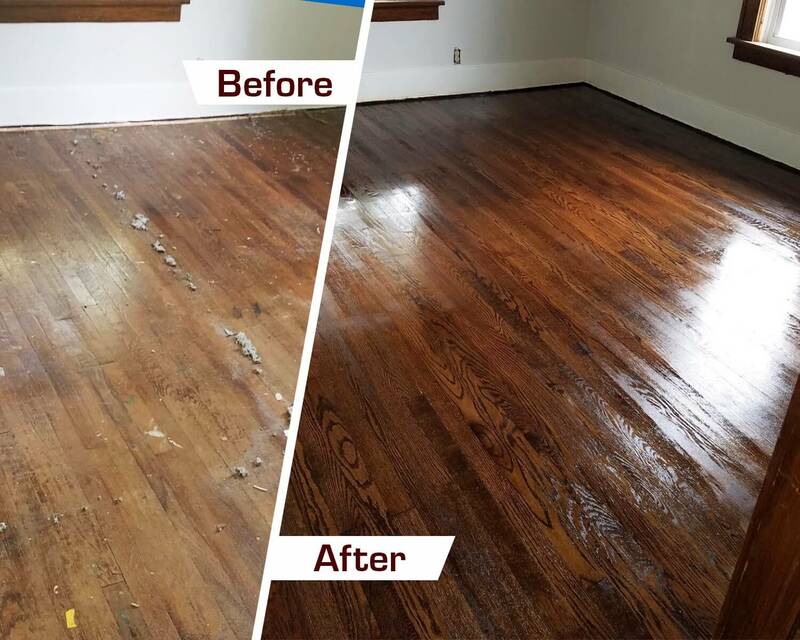 First, we’ll sand down your floors to eliminate harsh scratches or nicks in your floors and to level the surface of your hardwood floors. Next, we’ll use your preferred color of stain from our 25+ beautiful stain options to change up the color of your floors, or keep them relatively close to their original color. After the stain has set and dried, we’ll apply a coat of polyurethane to the floors to help protect them from future wear and tear as well as to provide a beautiful gleam. Bring back the beauty of your hardwood floors today!